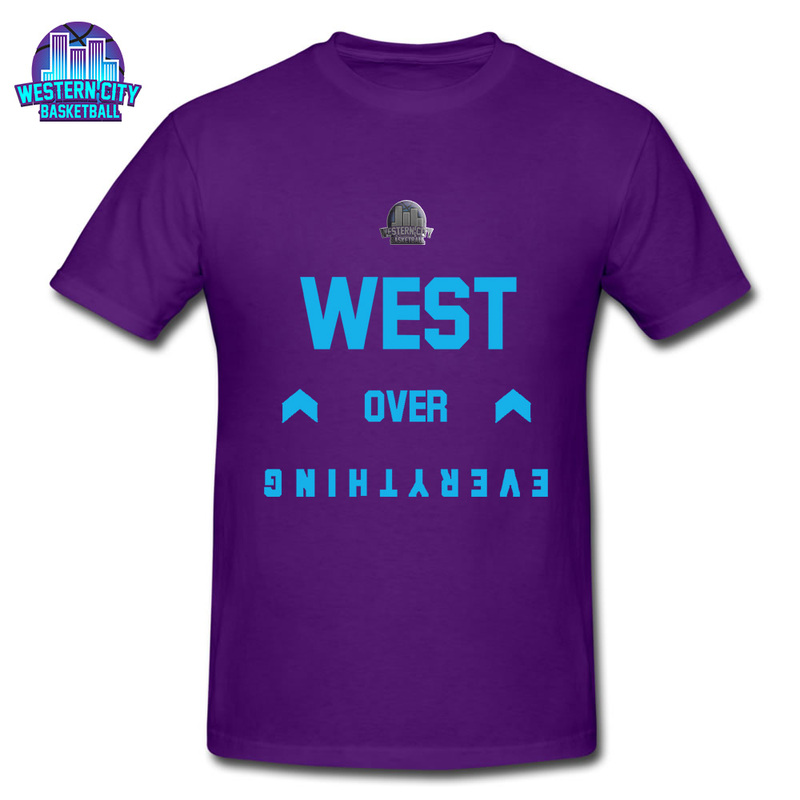 West Over Everything is the official merchandise of the 2018-2019 Western City Basketball season. West Over Everything is a concept dedicated to ‘North Over Everything’ by the Toronto Raptors, all modeled by the youth of our basketball program. The dedication, the movement, the culture; All by our youth. The 2018-2019 Warm Up Shirt is a Purple athletic tee with ‘West Over Everything’ in our Teal text, and our logo in White. 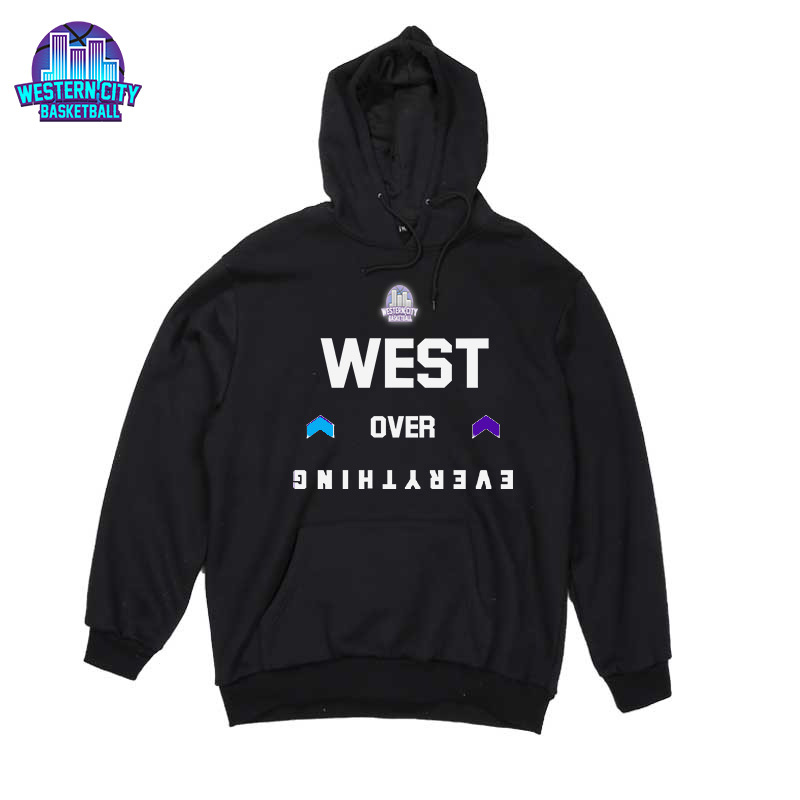 The West Over Everything Hoodie is a Black cotton style hoodie with ‘West Over Everything’ in White text, with two arrows in (one) Purple, and (one) Teal. Our logo is in White. Money will be collected on Thursday, November 8th from 6:30-7:00 at St. Matthew’s School. No E-Transfers will be accepted (Cheque to Western City Basketball or exact cash only). Please select the size of the 2018-2019 Warm Up Shirt you would like to purchase. Please select the size of the West Over Everything Hoodie you would like to buy. Your order will be saved to our file, and the payment is due on Thursday, November 8th at 6:30-7:30 at St. Matthews School (cheque to Western City Basketball or exact cash).